They are both are strong competitors for this years’ award. The finalists represent a great variety of projects in terms of location, size and program. 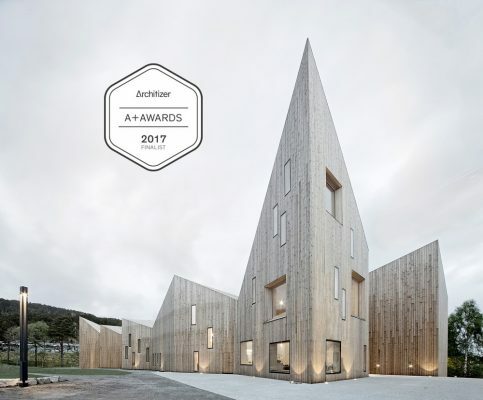 The Arkitekturprisen 2017 winner will be announced at the annual Architecture-day, “Arkitekturdagen” on September 21st 2017 at Chateau Neuf in Oslo. Tor Inge Hjemdal, Director of Architecture in DOGA, the Norwegian Association for Design and Architecture. Seven Norwegian companies have been selected to participate in a public pilot project that aims to export Norwegian architecture across national borders. Through its funding, the program will strengthen the international competitiveness of the Norwegian architectural industry and contribute to increased exports. Reiulf Ramstad Architects announce that they have been selected amongst 26 international applicant teams for the restricted competition to design the new “Fjordporten” building for Bane Nor Eiendom. Team Reiulf Ramstad Arkitekter in collaboration with C. F Møller Arkitekter, Bollinger + Grohmann Ingenieure, Baugrundinstitut Franke – Mebner und Partner GMBH and Transsolar Climate Engeneering are to propose a new 35,500m2 high rise building in the heart of Oslo. 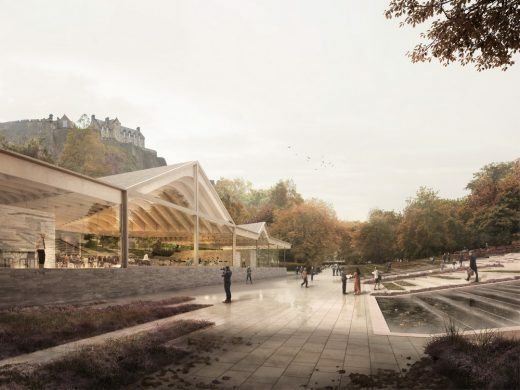 We have assembled a multi-disciplinary design team of both international profile and local knowledge to put forward this proposal for the revitalisation of the Ross Pavilion and West Princes Street Gardens. Working with GROSS.MAX, AECOM, Charcoalblue and Groves Raines Architects. Adrian: First, can we talk about your Trollstigen project, this is a major intervention, is it the largest on any of the eighteen tourist routes? Adrian: The lookout element at Trollstigen (photo above) is bold, breathtaking in its cantilever. It discusses with nature in a similar way that Scarpa works with ruins at Castelvecchio. Can you explain the basis behind it? Reiulf: Børre Skodvin (JSA) was working on these routes ten years before us, we came along through the competition process, we had no contacts, we won the anonymous contest. Although Trollstigen is well known in Norway I only came to it as an adult, at the time of the competition. I wanted to pass by! It is not a virgin site, there were buildings here before. It is only accessible in Summer, closing from September to May due to snow, but in the few months it is open around 600,000 visitors pass through. Rather than thinking ‘architecture’ we thought ‘landscapes’. We started with demolition. Any new structures should have a duality, we needed to create a distinction between people in cars and those who weren’t. Nature is brutal here, we focused on access, but started expanding our knowledge by talking with water specialists, hydrologists, etc. The project imposed new ways of working, and it is exciting to come up in May and see what has happened. We developed prototypes to deal with avalanches and heavy rain. Adrian: The various elements at Trollstigen – mountain lodge, outlook plateau and embankment building – are all robust, with some heroic moments such as the outlook cantilever. The extreme conditions obviously affect the architecture, but it appears the robustness is celebrated, as if fighting nature. Reiulf: It is not to fight, it is not under the sun so that helps define it. Adrian: Your outlook plateau uses a massive cantilever with a clear glass balustrade at its extremity, like the Aurland Look out by Saunders arkitektur & Wilhelmsen arkitektur, is teases those who brave it. Reiulf: There is a graduation of danger, the intention is to invite all types of users. Adrian: Materials are principally corten, concrete and glass, is this correct? Reiulf: We started with wood but it was not right, so we chose to use steel and concrete but there is a problem as war structures on the coast are steel and have outlived themselves. The locals wanted turf and stone, there was a scepticism and many meetings! Adrian: There are around 200 hundred tourist route projects since the initiative started in 1994/95, how does Trollstigen compare to them? Reiulf: It is very different to the other projects, there is a lack of time (due to close down of the site for so many months of the year), but this is a positive aspect. It is like slow food. Buildings are built too fast these days. Architecture is an ancient art that honoured time. Adrian: Ok, so slow is beneficial? Reiulf: We need to be more patient, gain experience. We suffer the consumption of the image. We learnt a lot about being patient on the Trollstigen project! Part of the lecture series on Changing Landscapes hosted by Alaska Design Forum. “Reiulf Ramstad Architects and Jensen & Skodvin Architects are two of the most high-profile and innovative architects practices based in Norway”. Reiulf Ramstad Architects to compete in the restricted competition regarding the revitalization and reconstruction of the People’s House (Folkets Hus) in Trondheim in 2012. An exhibition highlighting the most significant developments within contemporary Norwegian architecture situated outside of the urban context, consequently using the ‘National Tourist Routes in Norway’ scheme as a way in which to frame the discussion and explore the work of two of the most high-profile and innovative practices based in Norway: Reiulf Ramstad and Jensen & Skodvin. A selection of Tourist Routes projects – completed all over the country – will be displayed by each practice, as well as a range of other buildings that have been undertaken, including housing and public works. “Transforming Landscapes”- The exhibition of works by Reiulf Ramstad Architects will open in Gent on October 12th. After leaving Brussels end of September the exhibition travels to Sint-Lucas School of Architecture in Gent, Belgium. The lecture by Reiulf Ramstad will be on the 12 Oct followed by the official opening and Vernissage at 19.00. Sint-Lucas School of Architecture is known as the largest school for Architecture in Belgium. Its uniqueness stems from the combination of a long and rich tradition with a high reputation in architectural and design education. A large number of the leading Belgian interior designers, interior architects, architects, urbanists, artists and researchers, teaches at Sint-Lucas. “Transforming Landscapes” works by Reiulf Ramstad Architects at Sint – Lucas school of Architecture Gent, 12 Oct – 4 Nov. 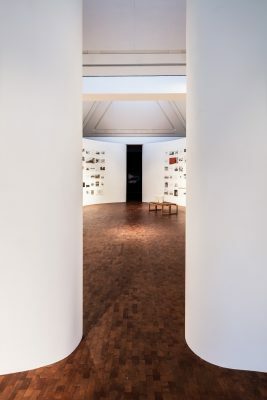 The Exhibition is a collaboration between Reiulf Ramstad Architects and the Norwegian Embassy in Brussels/ L’Ambassade Royale de Norvège en Belgique. WAN 21 for 21 AWARDS – UK. The initiative aims to highlight 21 architects who could be the leading lights of architecture in the 21st century; outstanding, forward-thinking people and organisations who have the demonstrable potential to be the next big thing in the architectural world. Reiulf Ramstad attended the official opening of RRAs exhibition Transforming Landscapes on June 22nd. at CIVA: the International Centre for Urbanism, Architecture and Landscape (Le Centre International pour la Ville, l’Architecture et le Paysage) in Brussels. The CIVA exhibit is a smaller version of the exhibition recently on display at La Galerie d’Architecture in Paris. The Exhibition is a collaboration between Reiulf Ramstad Architects and the Norwegian Embassy in Brussels and is partly sponsored by The Norwegian Ministry of Foreign Affairs (UD) / Norsk Form. After Brussels the Exhibition will travel to Genth (Belgium) and be on display from september till November. Official Opening of The Troll Wall restaurant with seasonal opening between 1st of June to 1st of September. The spectacular view of the towering cliffs of The Troll Wall (Romsdalen, Norway) is visible from within the restaurant. Concerts, movies and parachute jump-events will take place during the season. Located in Østfold County, near Larkollen by The Oslo Fjord, with a magnificent ocean view. The house is designed around the concept of a mono-view, meaning that the house opens up to the landscape in one direction only. 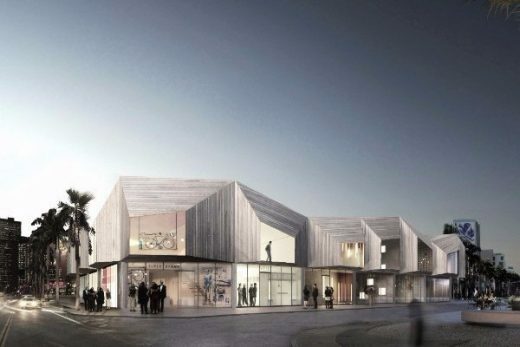 The open international design competition for the new museum facility in Jøssingfjord recieved 136 proposals. This is a very high number for a competition of this nature and, in fact, among the open architectural competitions in Norway with most entries. The award winning, purchased and honorable mentioned proposals have all the elements that illustrate the challenges and helps to understand the situation better and provides valuable experience in the further design work to complete a new Museum. RRA a nominee with the K5 Urban Housing project for “Statens Byggeskikkpris 2011”. 7 projects shortlisted out of 90. This annual award is considered the nation’s most prestigious architecture prize. A place is not simply an aggregate of physical elements and conditions. It is not an object, however complex, to be viewed as raw material for the architect’s creative will. A place is indivisible; it is unique and has a distinct expressivity of its own. Architecture must always acknowledge the innate character of every location and make its design a marriage of place and concept. The philosophy of Reiulf Ramstad Architects is that architecture must be instructed by the uniqueness of its location. With the uniqueness of every site and context as the point of departure Reiulf Ramstad Architects employ a distinct architectural palette characterized by a strong focus on materials and the sense of a location’s individual spatiality. Each project becomes a unique departure when highly individual design emerges from a set of clearly defined and controlled elements. Reiulf Ramstad’s architecture seeks to expose the tension between the local and the global, the natural and the artificial; between virtual and real space and between immobility and change. D’une pensée éclairée naît un projet audacieux. L’agence RRA vise à explorer la tension entre local et global, naturel et artificiel, entre espace virtuel et espace réel, immobilité et changement. 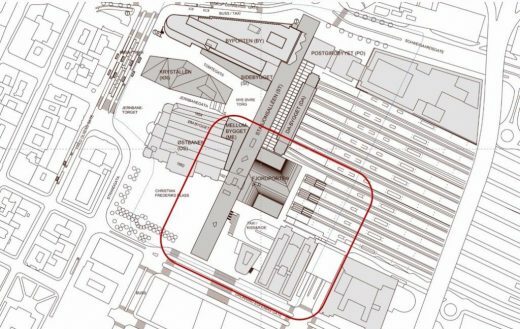 Leur ambition est de créer une architecture contemporaine basée sur l’analyse du site, d’où émerge une interprétation sensible ouvrant la voie à la création architecturale. En partant de l’unicité de chaque contexte, Reiulf Ramstad Architects s’appuie sur une palette architecturale distincte et précise, caractérisée par un choix attentif des matériaux et par un sens de l’aménagement spatial propre du lieu. Leurs projets se distinguent ainsi par des formes tectoniques innovantes qui soulignent la continuité spatiale entre les paysages extérieurs et intérieurs.